This still life reflects my love of vintage. 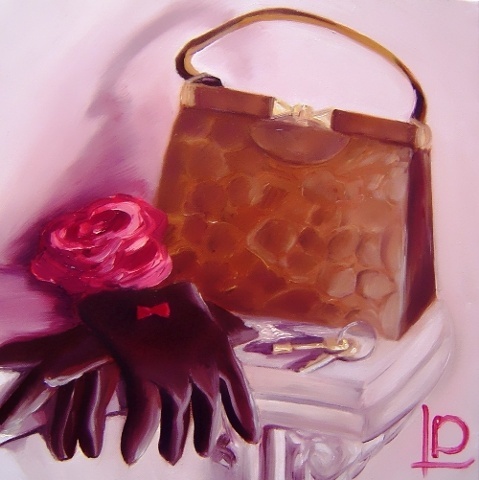 The crocodile purse, the gloves with little red bows at the wrist, and the red rose sit elegantly side by side. The colours and choice of objects give this painting a modern feel, despite the traditional composition.